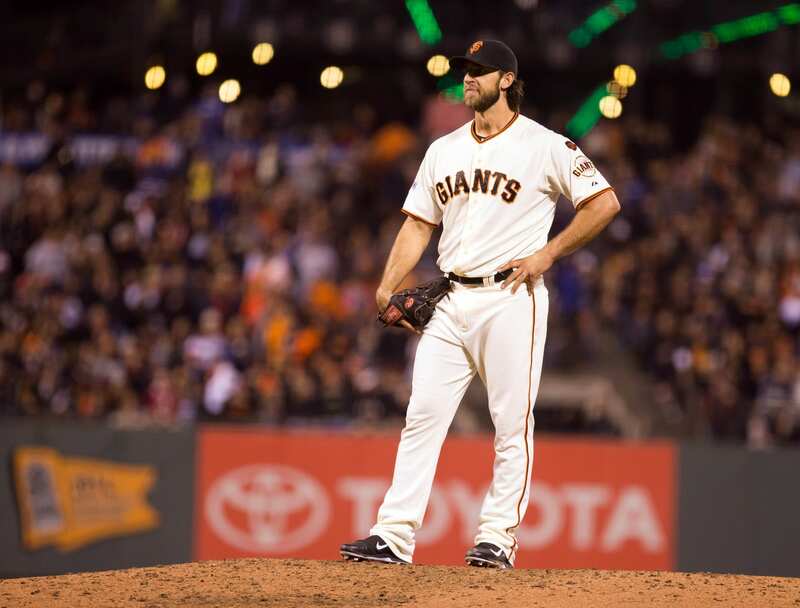 As has been the case this season when facing a left-handed pitcher, Los Angeles Dodgers manager Don Mattingly stacked his lineup with right-handed batters Tuesday night against the San Francisco Giants and ace Madison Bumgarner. However, there was one notable exception as Mattingly started Corey Seager at shortstop. Mattingly didn’t go so far as to proclaim Seager the primary starter moving forward, but implied as much. 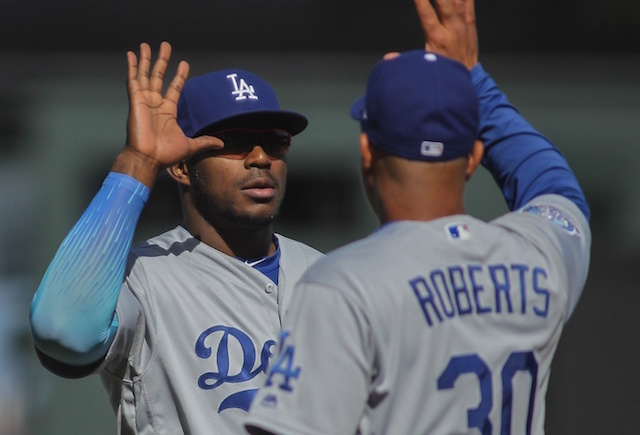 Since making his Major-League debut on Sept. 3 against the San Diego Padres, it’s been difficult for Mattingly to keep the rookie shortstop out of the lineup. With Jimmy Rollins now healthy after missing time with sprained right index finger, there’s a bit of a logjam at the shortstop position. In addition to playing shortstop, Seager has made three starts and played five games overall at third base. It hasn’t all been smooth sailing for the heralded prospect however, as Seager has committed five errors at shortstop. Though he’s also shown the ability to make difficult plays. 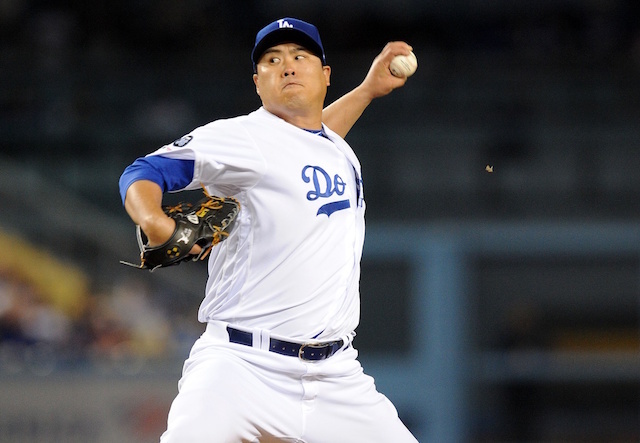 Transitioning to face Major-League pitchers hasn’t been met with much of a drop off, if any. Through 23 games (21 starts), Seager is batting .333/.423/.560 with three home runs, eight doubles and 15 RBIs. 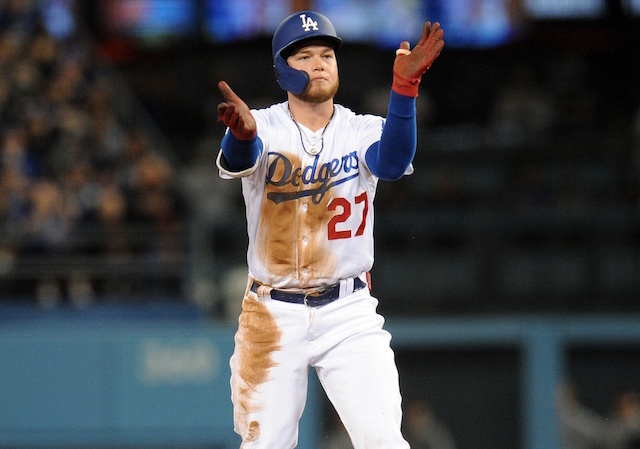 Additionally, the 21-year-old shortstop has reached safely in 21 consecutive starts to begin his career, which is a Los Angeles franchise record.